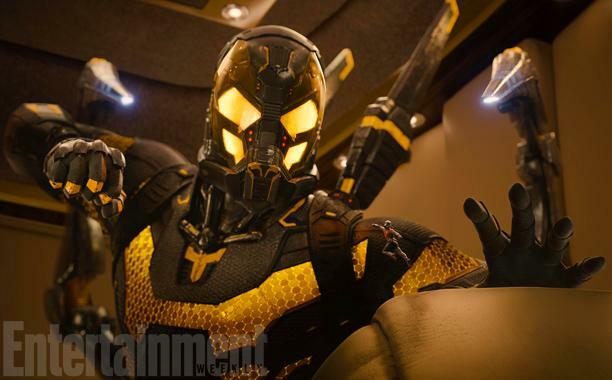 via ‘Ant-Man’: First Official Image of Yellowjacket Released. This suit (or a version of it) is the target of a heist mission put together by Scott and Hank. After Scott manages to steal the Ant-Man suit, Hank is so impressed by his skills that he proposes the idea of Scott helping him to steal the Yellowjacket (played by Corey Stoll) technology from Cross. And if you look close you can see Ant-Man right in front of YellowJacket’s shoulder. 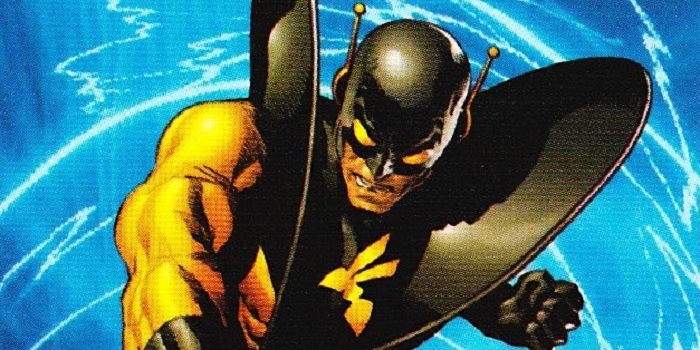 Speaking to EW, director Peyton Reed explained the respective strengths of Ant-Man and Yellowjacket. So, while the image of an action figure-sized Ant-Man trying to meet Yellowjacket’s human-sized blows might look a little bit silly, Scott Lang can still pack a punch. He also has an army of ants, and if they can ruin a picnic then they can definitely ruin Yellowjacket’s day as well.